Few places in the world can compare to the stunning scenery in Southern Utah, making it a must-see destination for travelers who are looking for gorgeous landscapes, relaxation, solitude, adventure and inspiration. 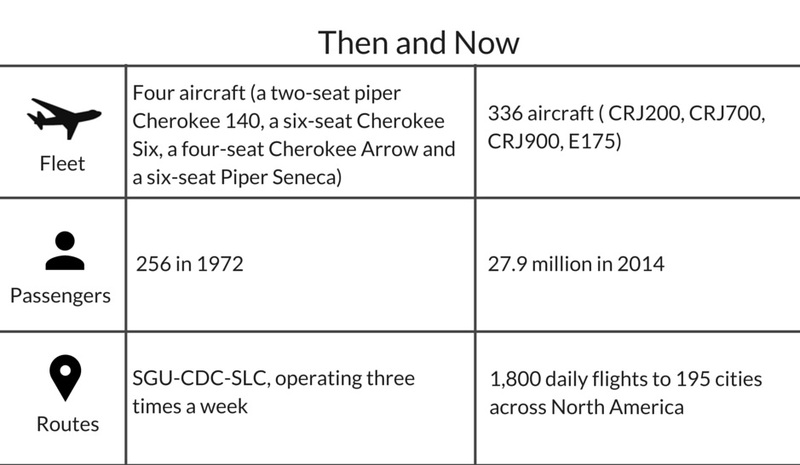 St. George, Utah (SGU) is the perfect starting point to begin the scenic adventure of a lifetime. 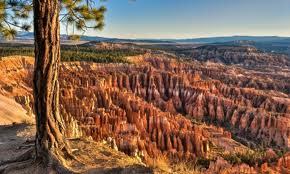 The city is conveniently located near three National Parks: Zion, Bryce Canyon and Grand Canyon, as well as Cedar Breaks National Monument. There are also numerous State Parks including, Snow Canyon, Coral Pink Sand Dunes, Gunlock, Quail Lake and Sand Hollow. In any other state these areas would be National Parks but here natural beauty seems to be everywhere. 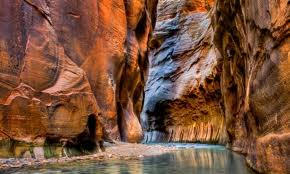 One of the gems of Southern Utah and the most popular destination in the area is Zion National Park. 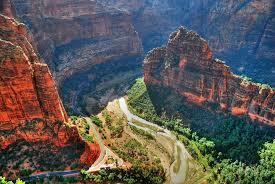 Zion is about an hour drive northeast of St. George and welcomes approximately three million visitors a year. For those visiting the park, the little town of Springdale right at the entrance can be used as a convenient base when exploring everything Zion has to offer. It’s also home to some of the best restaurants in Southern Utah! So while a packed lunch can help ensure visitors don’t miss out on anything in the park, the breakfast and dinner options in Springdale are exceptional and shouldn’t be missed! Oscar’s Cafe is the all-around local favorite for breakfast, lunch and dinner, and is known for their hiker’s granola, ribs, sandwiches, burgers, southwest dishes and incredible sweet potato fries. For some additional variety, the Bit and Spur Restaurant and Saloon or The Spotted Dog are both fantastic dining options. When accessing the park, it’s simple to hop on one of the complimentary shuttles that run up the canyon from April through October, or just driving in during the winter months. Once inside, the two must-do hikes are Angels Landing and the Narrows. Angels Landing is about five miles roundtrip and usually takes four to five hours to complete. The trail starts at the bottom of the canyon, and climbs 1,500 feet to a point on top of a pinnacle in the middle of the canyon. The views from the top can’t be replicated, but note that anyone who is nervous about heights should proceed with caution as it’s a bird’s eye view! The Narrows starts at the Riverside Walk trail and continues up the Virgin River where the canyon continually becomes more narrow – at times only 20 feet wide. The hike is literally in the river, so those making their way up should be prepared to get wet! This is a great hike to do at virtually any pace, trekking up along the river and turning back whenever needed. Those with time for just one of these two iconic hikes should choose the Narrows in the summer and Angels Landing in the winter. The Narrows is great for the summer when temperatures are often over 100 degrees, because hiking in the water makes it easy to stay nice and cool. Angels Landing, on the other hand, can get very busy in the summer and is more enjoyable in the winter when crowds and temperatures are down. While these are the two most popular hikes in the canyon, there are dozens of other hikes to keep even the most advanced adventure seekers busy for days. After exploring Zion National Park, visitors should plan to spend some time enjoying the scores of other entertaining activities in the area. 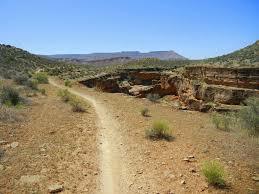 Within the St. George area, there are more than 50 mountain biking trails, the most popular of which are the Gooseberry Mesa trails, Zen Trail, Bear Claw Poppy, Barrel Roll, J.E.M. and Little Creek. For hiking outside of Zion or the state parks, the Red Cliffs Desert Reserve offers more than 60,000 acres of desert that is just waiting to be explored. For fun in the water, Gunlock, Sand Hollow and Quail Lake State Parks each offer areas to swim, boat, fish, cliff dive or just relax. And with more than 300 days of sunshine a year and mild temperatures, there are plenty of opportunities to take advantage of all the different outdoor activities. Of course after spending so much time outside, many travelers will turn to serenity through pampering at one of two world-class spas: Red Mountain and Green Valley. Each offers a full selection of treatments that can help guest rejuvenate while surrounded by beautiful desert landscapes. With such stunning scenery and so many diverse activities, be sure to get here quick! 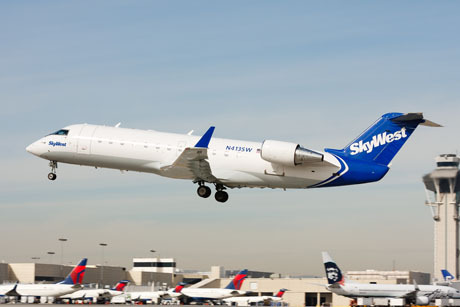 Delta Connection flights from Salt Lake City, Utah, and United Express flights from Denver, Colorado – all operated by SkyWest Airlines – are available daily. Book today at www.Delta.com or united.com.